Mother’s Day, engagement parties, birthdays, christenings, hen parties, anniversaries, leaving parties or just to say thanks. There are a myriad of occasions when you can buy a bottle of drink for a special woman in your life. Mex Ibrahim, co-founder of Women in The Food Industry looks at why Prosecco appears to be top of the list and what other options there are. 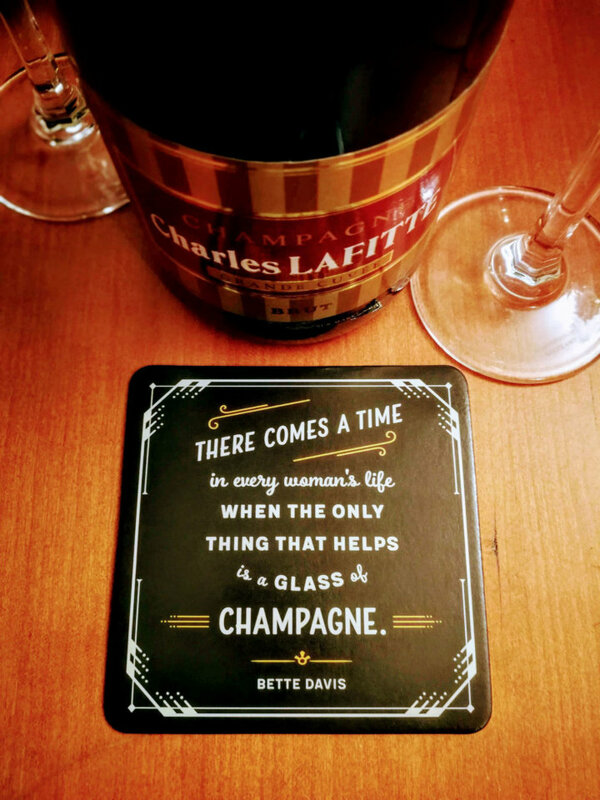 The great Bette Davis once said “There comes a time in every woman’s life when the only thing that helps is a glass of Champagne.” If we move this to the 21st century, it would be very easy to replace Champagne with a glass of Prosecco. 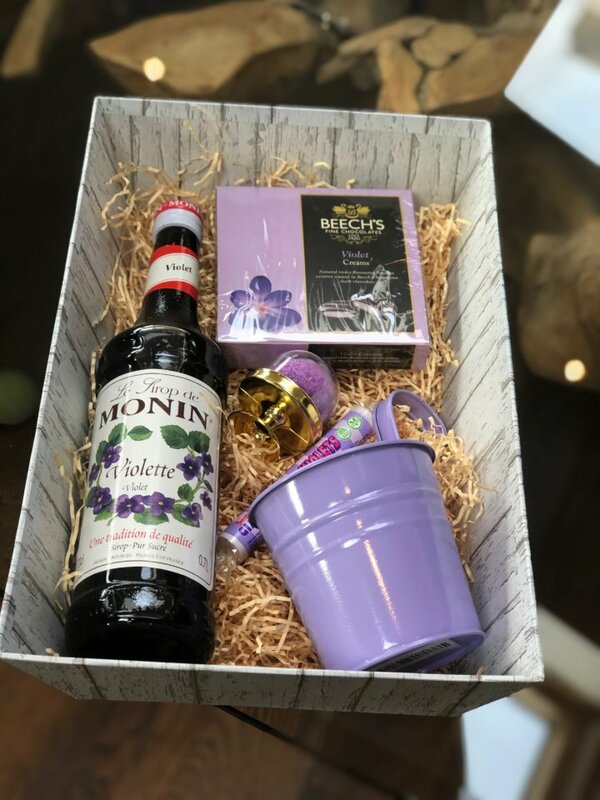 I have lost count of the amount of ads I have seen or heard for Mother’s Day where the gift of choice seems to be a bottle of Prosecco and some chocolates. Prosecco is the world’s best-selling sparkling wine by quite a big margin. Italian wine producers made roughly 600 million bottles of Prosecco in 2018. Whereas the Champagne region in France produced 315 million bottles of Champagne, while in Spain Cava producers released 216 million bottles of the popular Spanish sparkling wine. So who’s buying Prosecco? More men buy Prosecco than women in the UK and it’s likely they are buying this as gifts, rather than something to drink themselves. 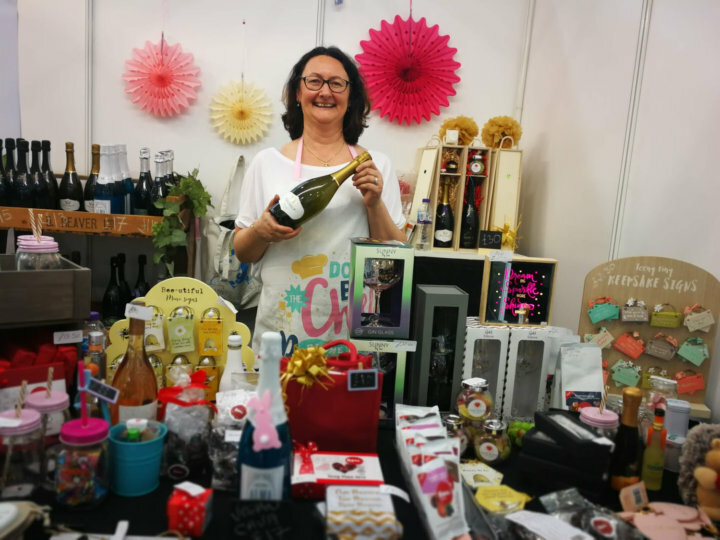 I met Corine when she was exhibiting at the Eat & Drink Festival 2019 which runs alongside the Ideal Home Show and her stand was packed with all sorts of Prosecco memorabilia & gifts for women in addition to the large variety of Prosecco and also a lovely non alcoholic Monin Violet syrup gift hamper. Apart from Prosecco what other bottles of booze are around that you might like to give to women? How about spirits? Is gin (with the rather unsavoury nickname “Mother’s Ruin”) a suitable gift? At the Eat and Drink Festival and other food & drink shows, I’ve seen a growth in gin liqueurs – such as those made by British conserve producers Tiptree and the drinks company Rose Cottage. Tiptree’s gin liqueurs are an interesting partnership between two established families, “The Wilkin family have been fruit farming at Tiptree, Essex, since the 1800s and still grow a wide range of traditional English varieties. Our crops are hand-picked, and include strawberries, plums, apples and cherries. We grow in a sustainable manner, engaging the community in our long term approach. 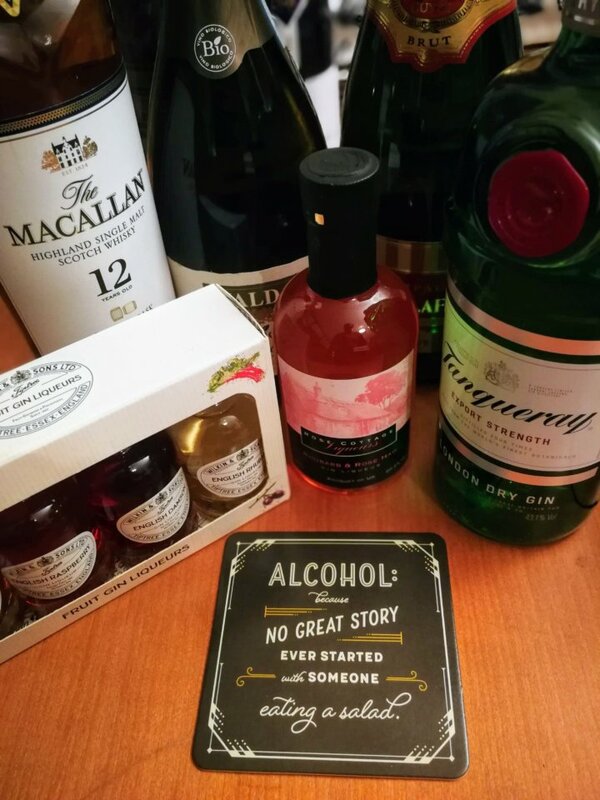 You can serve these liqueurs neat or mix with some sparkling wines or tonic to create interesting cocktails too with a more flavourful and colourful punch than a traditional G & T.
Finally there’s the hard stuff. Whisky and malts. 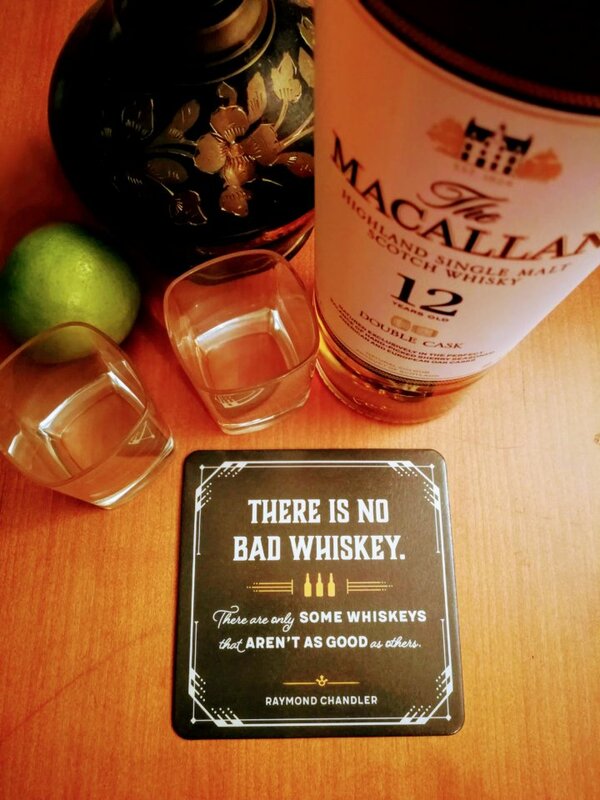 Very much a “man’s” domain, are whiskeys a reasonable option as a gift for women? Drinks communicator, author, presenter and award-winning wine expert Helen Nicklin would say much of the marketing around whisky is a bit stuffy and less likely to appeal to women. She was on our Women in Food & Drink panel for International Women’s Day and recently filmed a series for Amazon Prime called The Three Drinkers do Scotch Whisky where she was a third of the presenting team alongside Aidy Smith and Colin Hampden-White. I have not even touched on beers in this feature, but the whole “female drinks” area is an interesting conundrum where certain drinks are very much marketed as “male drinks” and “female drinks”. Watch this space as we talk to more women in the drinks industry which will hopefully change how we give drinks “genders” and how that effects how see them as suitable gifts for men or women!